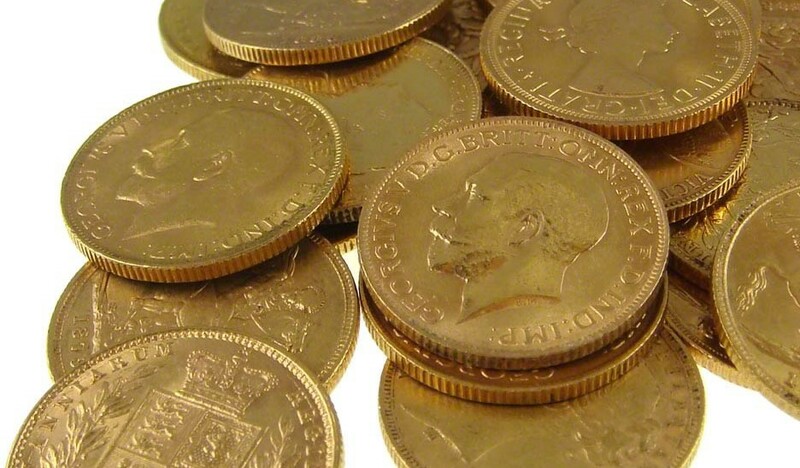 If you’re considering selling any gold Sovereigns coins, make sure you’re getting a fair price. Many gold dealers will only offer a price based on the bullion value of a gold sovereign, regardless of its condition or scarcity. Some specialist coin dealers even require you to advise them that a coin is particularly rare or collectable! The Gold Sovereign Expert website is owned and operated by Gold-Traders (UK) Ltd. We are an established precious metals dealer and will be happy to value your coins. We have tried to make the valuation process as simple and as straightforward as possible. Please follow the process, detailed below. Complete a copy of our simple online claim form. When you submit the form, you’ll be asked to print a copy for signing. If you don’t have a printer, please hand write the detail of the form in a letter. If you elect for payment into your bank account (it’s our recommended option & free), you’ll see a section on your paperwork to hand write your bank details in. Follow our instructions regarding packaging and postage. You’ll be sending your package via insured Special Delivery, to the address printed at the bottom of your claim form. We deal with all packages on the day of receipt, Monday to Friday. We will contact you with our valuation and if you are happy for us to proceed, payment will be issued immediately. If for any reason you change your mind, your coins will be returned to you via Royal Mail Special Deliver, at our cost. bullion / brilliant uncirculated / proof issue? As you read this, the bullion value of a full gold sovereign stands at £	. You should expect a reputable dealer to offer a few percent below this when selling bullion grade coins. Unfortunately, it is impossible to give an accurate valuation over the telephone. We will need to physically see your coin(s) before committing to anything over & above the basic bullion price. Please complete a copy of our online claim form, via our sister site, Gold-Traders (UK) Ltd.
A coin dealer should always offer you more than ‘scrap’ value for it. We were given some gold sovereigns by my father in law in November 2012. He’s since passed away and we need to work out how much they were worth at the time, for inheritance tax reasons. Do you know how I can work this out? For an inheritance tax valuation, I would suggest you calculate then at 90% of the current bullion value. Hi I have an 1843 Victorian sovereign. It has been mounted in a pendant, but seems to be in fairly good condition and not damaged. I have noticed that the second I in Brittanniarum, is actually a number 1 round the wrong way which I think may be a mi ting error. Is this worth more than scrap? Yes, it should be worth more than scrap. 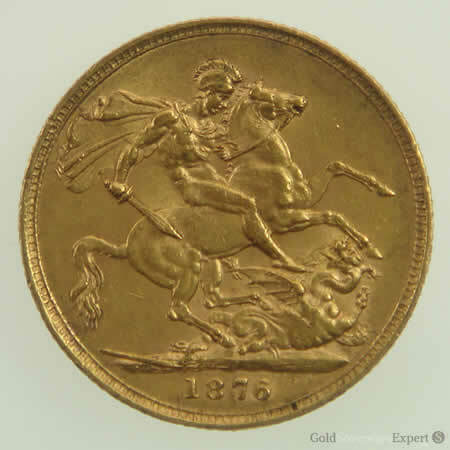 Have you seen our photo of the 1843 Sovereign? It has the same minting error! Hi Phil i have a 1884 Victoria (young head) / St George sovereign minted in Melborne in what i believe is excellent or Very good condition (no marks or wear whatsoever) I have been offered scrap value for this coin but i cannot allow such a beautiful coin to be scrapped. Could you give me an approximate value please? You should never sell a Sovereign for ‘scrap’ value (if it’s in good condition). Please follow our instruction in the last paragraph to get a valuation. I have 12 x 2002 full sovereigns: being 11 in a sealed sheet of 12. One has been previously cut away and replaced with another seprately sealed coin which also appears to have been part of a sealed sheet (but not the same). They are therefore all untouched by human hand and assume them to be uncirculated as opposed to proof coins – but how would I know with no other documentation found? I believe they were bought in same year of mint so wondered what the original selling price was as websites seem to concerntrate on the NOW value. Yes, the Sovereigns were issued in plastic sheets for investment buyers who purchased in bulk (for best value). Individual 2002 bullion Sovs were sold mounted in presentation cards. Unless you can get an answer from The Royal Mint, it’s going to be difficult to get an accurate answer on what they were originally sold for. Throughout 2002, gold was trading at around £220 / ozt, which would make the bullion value of an individual coin at somewhere around £52. So, if you were to sell them today, that’s quite a tidy profit! Just a question please can you give myself some information on a Gold Sovereign, I will give you the details underneath. I sent it to be graded through LONDCOINCOMPANY they sent it on to PCGS, if you would like to verify the details please do so. as unsure how to price the coin. Hello Gary, we’ve emailed you. A full Sovereign weighs 8g and a half weighs 4g. I have a 1895 gold sovereign in a jewellery pendant type mount, it was my grandmothers and I’m thinking of selling it. I read your information & it look like it’s the Victoria veiled head st George LONDON one. How much would I be looking at receiving for this? As it’s been mounted in jewellery, the coin will probably be valued at scrap rates, due to wear. The following link will give you an up-to-date valuation for the coin. There’ll be some additional value for the mount, which will more than likely be 9ct gold. I have several Gold coin set in perfect condition to sell,My father’s set. And I have only received offers like scrap gold. All with certificates of authenticity, boxes, and never been taken out of their capsules. I’m not sure you’re located in the UK? You should be looking to achieve a better price than scrap. Of course i live in Birmingham. All the offers they have made to me are for scrap gold. 50% less of current value. Do you know an good distributor coin? Please call us on 01793 230 331 to discuss in more detail. I have a 1893 London mint veiled head sovereign it is mounted in a ring could you give me value please? Also have an 1890 London mint mounted in gold excellent condition. Could you give value and would you be interested in buying? Unless they’re Canada mint, they’ll be standard bullion value. More than likely bullion value, unless you have a hooked style JEB in the obverse initials (there’s an article pending on this). I have a 1883 sovereign with the Melbourne mint mark. Unfortunately it has damage at the edge approx 4mm. What would this damage do to the value? Yes, damage will impact on the value. If the damage is significant, you should expect a scrap valuation of around 90% – 94% of the bullion price. Hi i have a sovereign with the a being double stamped does this add to the value? Yes, possibly. We’d be happy to value this for you. As it’s been mounted in jewellery (and it’s a common date), you’re probably going to be looking at scrap value. A good dealer will pay 90% + of the gold value. Hi I have a victoria 1893 gold coin mounted into a ring and I can’t seem to find it online so I don’t know if it is a sovereign. It has a shield with 2 pictures of 3 lions running 1 lion and a harp with crown on top of shield around it is written BRITANNIA RIM REGINA FID: DEF: and on the other side is a woman wearing a crown it shows the whole crown on her head and she has a veil on, written around it is VICTORIA DE I GRATIA. Please let me know any info you have. Your coin is a jubilee head half Sovereign. Hi I have a 1918 George Soverign in very good condition how much would it be worth? Thanks for the enquiry. We can’t give individual valuations without physically seeing your coin, so please follow our instructions in the last paragraph. Very useful guides and I don’t think I have anything special but worth a check. Is a 1891 sovereign minted IN Sydney. To my eye, apart from a tiny amount of tarnish that you’d expect for a 126 year old coin, it’s in perfect condition. Happily share a photo with you. Based on today’s markets, what could I expect to sell for? It’s not a rare coin, so you can expect a valuation fairly close to the current bullion value. The mount is almost certainly 9ct gold, approx 1 – 2g in weight. If the coin has wear due to mounting, the value will be 5 – 8% below bullion value. Why are you so coy about your margin and handling costs? Many people like me will be interested in how much their sovereigns would realise at bullion value without wishing to jump through your hoops. I’m sorry you think we’re being coy – we’re anything but! In fact, we try our best to inform visitors as much as possible with articles explaining the bullion value of a gold Sovereign. We think we’re far more open than many of our competitors. 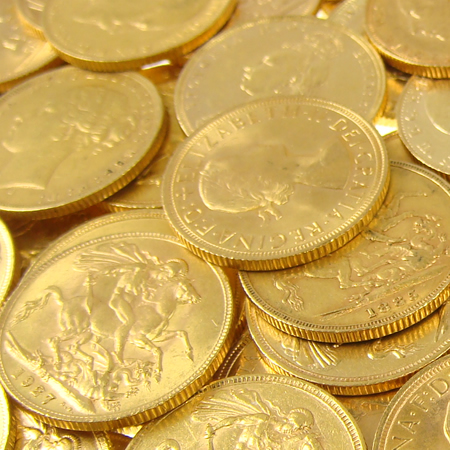 Our margin is generally about 2% on bullion coins and we have no fees. Following valuation, if a customer chooses not to sell, we’ll return the coin(s) at our cost. Over & above bullion valuations, it’s impossible to give valuations on coins without physically seeing them ‘in the flesh’ because the amount can vary by such a huge amount. Hi there, I have 6 young Victoria gold sovereigns, dates 1888, 1889, 3 x 1891 and 1 x 1892. I also have the following mint in covers Unused. 2 x 1979, 4 x 1980, 1 x 1981…. Can you advise on value. Please see our article on the value of gold Sovereigns and our page on selling Sovereigns. 99 is a documented die number for 1871. Nothing special I’m afraid. The 1881 S Sovereign doesn’t carry the BP initials on the reverse. Nothing exceptional unless it’s in true uncirculated condition. I have a 1967 half sovereign with mount have had it for 35 years given to me by my parents but when I check it’s value it says online no half sovereigns were minted that year can you advise please ? You are correct – no half Sovereigns were minted in 1967. Therefore you either mistaken a full Sovereign for a half (easy to do when they’re mounted), or it’s some other coin, or it’s a fake. Hello Ian, your Sovereign is unlikely to be a fake. The head is upside down because they were minted on a reverse die axis. I have a 2007 five pound coin brilliant uncirculated, could you tell me what’s it is worth and if you would be interested. Hi Kate, I’ve sent you an email. I have a 1861 half sovereign, young Victoria head and shield on the back. Of course! Please follow our instructions above to arrange its sale. Hello Mark I have a 1917 Sovereign and it looks like it is a Melbourne Mint but difficult to see. Would a Melbourne Mint be worth more than bullion value ? Still hoping it was a London! If it’s in tip-top EF or Unc condition, you should get a little more than bullion value for this coin. I have a collection of sovereigns and also a couple of half sovereigns, 1 gold £2 and 1 £5.. what is the best way to send a lareger number of coins? If you go through our selling process, we give you full instruction on shipping. Special Delivery parcels can be insured up to £2,500. If the value is in excess of this, you may want to consider using multiple packages. I have the entire series of Edward VII (that is, 11 coins). If I sell it as a set, will I get a better price? I’m not sure at this point what your ‘set’ comprises of. Edward VII Sovereigns were minted from 1901 – 1910 in London, Canada, Melbourne, Perth & Sydney. Did you purchase it as an official (Royal Mint) set, or is it a collection you’ve put together? I think it’s unlikely to be worth more as a set. Hello Mark, yes we do. Please follow the link above to complete our online claim form. Hello Sofia, as per the instructions above, please complete our online claim form. so i have one 1863 gold sovereign in a very good condition . can you Please offer me a price? should i sell the rings combined or take the coins out and sell separate? We pay a higher rate for Sovereigns compared to the rates we pay for what we generically call ‘scrap gold’. I would caution against you trying to remove the coins yourself as any damage could impact on their value. You should also be aware that if they show any signs of mounting through un-even wear, this could also impact on their value as Sovereigns. i have 3 sovereign gold rings, all with coins dated, 1900, 1910 and 1851 any idea how much these coins are worth? they are all in excellent condition but they are in a ring older of 9ct gold, please help me befor ei sell and regret on ebay shoudl i sell these private?? a 1953 half sovereign worth? Half Sovereigns weren’t produced in 1953. I have 3 Roman I coins from 1861 to 1863 could you please let me know the value of these all in great condition. Hi Stephen, I think you mean Sovereigns?… As we state, it’s impossible to accurately value a coin without physically seeing it. At minimum, you can expect to achieve around the bullion value, as detailed in the above article. I have a 1998 queen Victoria sovereign it is mounted with a 24 inch gold chain. What would be a rough value of this. If it’s been mounted, your coin is worth its bullion value 7.3g of fine gold at the prevailing market rate. So sorry yes I did mean 1898. One of those senior moments. Thank you for reply. We’re unable to value the coin without seeing first – sorry. We would be delighted to purchase it from you – we deal with everything on the day of receipt. If you want to go-ahead, please review our procedure here. Dear Sir/Madam, I have a 1838 Victorian Sovereign, that I am contemplating selling. Could you advise on how much it could be worth. 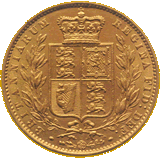 The 1838 Sovereign is a very collectable coin. It’s value is VERY dependent on its condition, ranging from several hundred pounds to several thousand! We would be very interested in purchasing this from you. 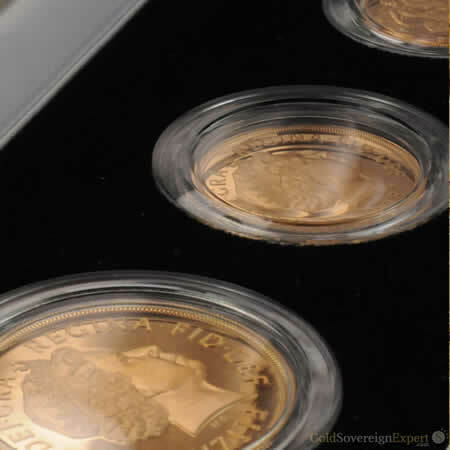 Please see our page on selling Sovereigns here. Hi thanks for your reply, could you please advise me on how I would get an accurate valuation from you. I would prefer not to post the sovereign, but could bring it to you if you have the facility. Thanks Kathryn Suter. Hello Kathryn, I’ve sent you an email in relation to this. Hello Alan, thank you for your enquiry. We’d need to see it to value it, but it’s going to be worth quite a bit over its standard bullion amount. If you’re interested in selling it, please visit the link below. We deal with many overseas customers. I have a number of mixed age (1928-2015) full gold sovereigns. I would like to know if you quote all years and conditions the same. We’ll need more specific detail from you regarding your coins. I will email you direct. I believe I have a half sovereign! dated 1915. It is exactly as illustrated for the London sovereign. does it also have value? Take a look at this page. At the bottom it gives the bullion value for a full Sov. Just halve the value to work out what it’s worth. I was reading online about the recovery of the SS Connaught (http://www.bbc.com/future/story/20160210-inside-the-hunt-for-a-million-dollar-haul-of-ocean-gold), and its estimated cargo of 10,000 gold sovereigns. I was curious what the likely range of potential value is for pre-1860 gold sovereigns, particularly if they are in mint condition (ignoring the impact that flooding the market with 10,000 of them might have). It’s a very exciting prospect. If they are salvaged & come to auction, you can expect some of the rarest examples selling for well into 4 figures, just as the Sovereigns from the RMS Douro did. Hi I have a king George iv 1824 sovereign and an 1842 queen Victoria half sovereign,are these of interest to you and if so could you offer me a price. Please see our ‘Selling Sovereigns‘ page for details. Very difficult to say without seeing it. It probably needs to be in ‘EF’ or ‘UNC’ condition (Extra Fine / Uncirculated) to achieve anything over & above its bullion value. I have a range of Royal mint proof coins to sell some sovereigns half sovereigns gold£10, silver £1 and £2 and some proof coin sets all are in original cases with certificates do you buy all of these ? Hello Sarah, thank you for your enquiry. Yes, we are happy to purchase all of those. Our main website – Gold Traders (UK) Ltd is where you need to register your sale request. Please complete our claim form here. Please follow our instructions here. Hello, Just a general question I have a 1987 Britannia 4 Gold proof coin set. Is it worth more Boxed with the certificate? Yes it is. I will email you. Hi, do you buy sovereigns from outside UK? Thanks! Yes we do. If you ship to us, please ensure you select an appropriate shipping method that offers adequate tracking and insurance. Use the wizard to determine if there’s a mint mark. The photos show where to look for the mint mark letter. Hi I have 2 sovereigns I wish to send you but both are in gold rings. Do you accept sovereigns in this way and if so will I receive the value from the gold ring aswell as the sovereign value? Yes, we are happy to receive coins that have been mounted. You will of course receive the value for the ring as well, it will almost certainly be a 9ct gold mount. You can easily work out the value of the mount by subtracting 8g from the weight of your ring. Our scrap gold rates are available here. Please bear in mind that if, once the coins have been carefully removed, there is evidence of wear due to their mounting, it may affect the coin value. Hello, I. Have used your wizard,It’s a 1923 sovereign with a P mark. any ideas as to the best way to find its value? Based on the current gold price, you should expect to receive around £163 from a dealer for this. Can you tell my,how much is the price for the gold coin victoria 1920? Sovereigns were minted in three locations in 1920 – Melbourne, Perth & Sydney. You should use our wizard to identify where your coin was minted. If you have a Perth mint Sovereign, it’s value will simply be based on the current gold price. Melbourne & Sydney mint Sovereigns produced in 1920 are very scarce & worth a lot more. If you have one, we would be delighted to value it for you. Please complete our online claim form to arrange the sale of your Sovereign.